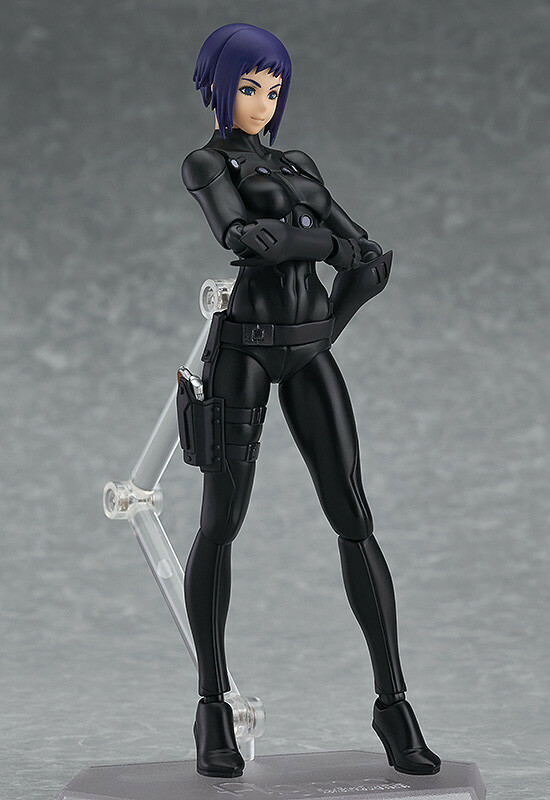 From the new theatrical release of 'Ghost in the Shell' made for the series' 25th anniversary, 'Ghost in the Shell: The New Movie' comes a figma of Motoko Kusanagi! Her standard calm and collected expression, an expression with clenched teeth as well as a smiling expression are all included. 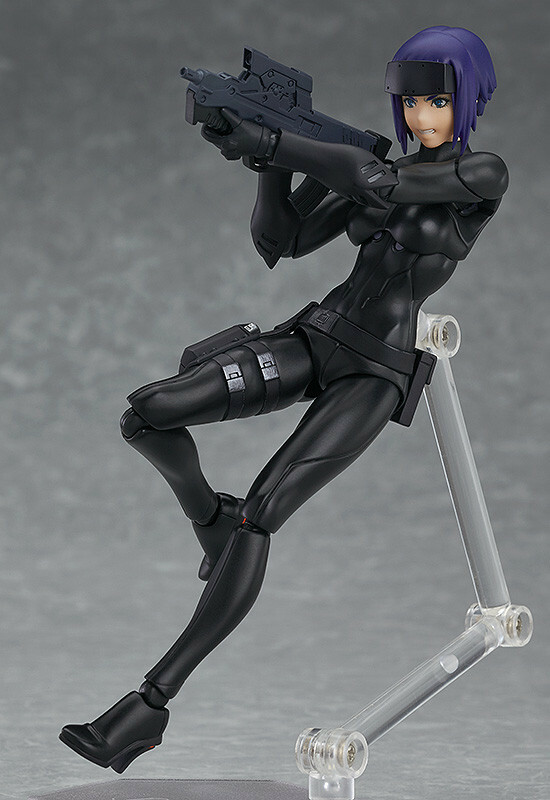 Motoko's favorite pistol as well as an assault rifle are both included for various action scenes. 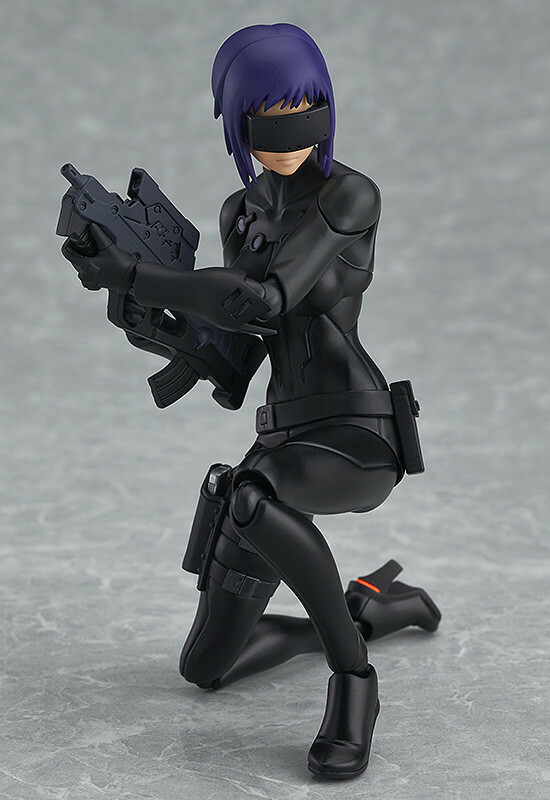 An alternate front hair part with her visor is included, which matches up with her thermo-optical camouflage suit perfectly. 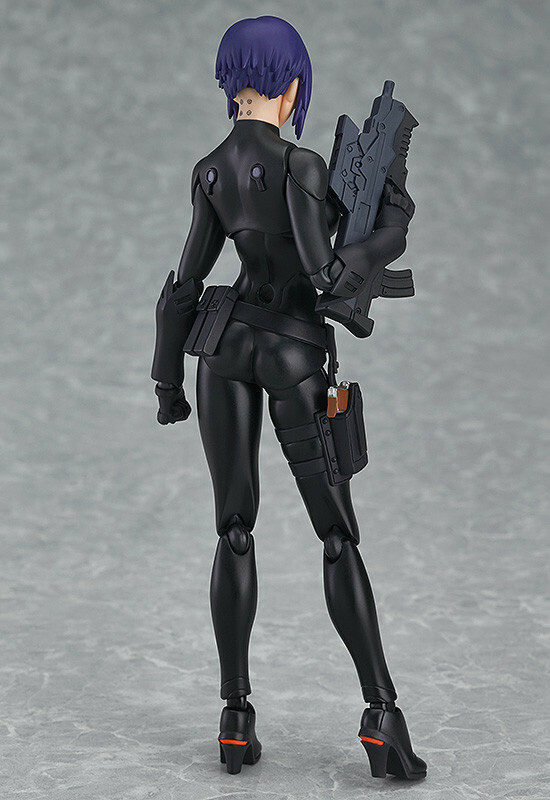 Preorders will be open from 8th October 2015 (Thu) from 12:00JST until 11th November 2015 (Wed) at 21:00JST. 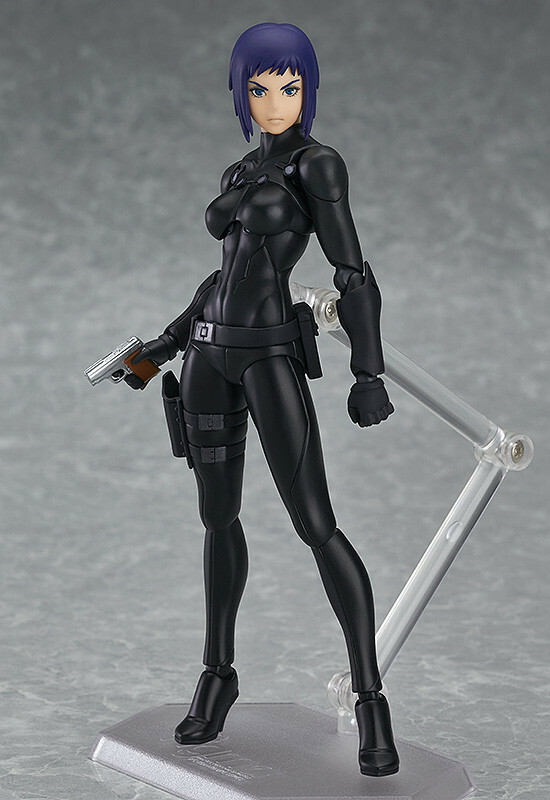 Preorders of figma Motoko Kusanagi: The New Movie ver. 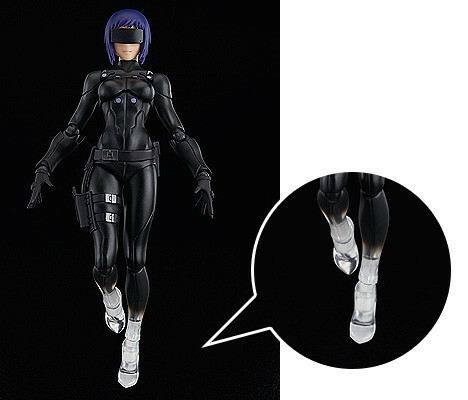 from the GOOD SMILE ONLINE SHOP will include Thermo-Optical Camouflage Leg Parts as a bonus! * Designs shown here is for illustrative purposes only.